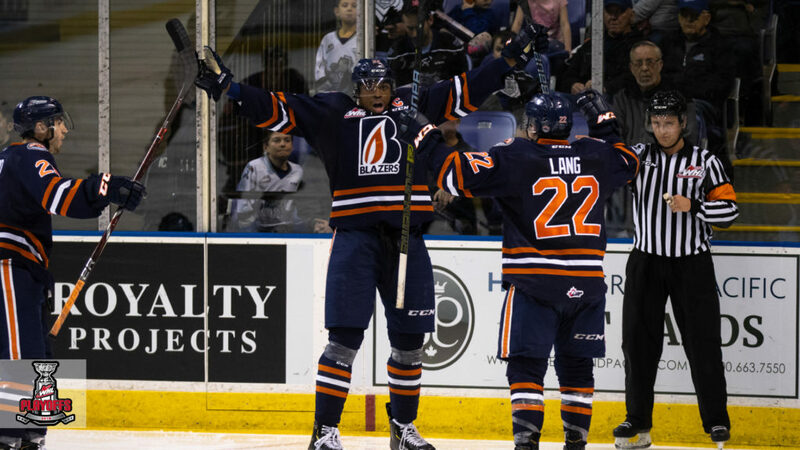 Kamloops Blazers captain Jermaine Loewen scored 5:14 into overtime Saturday, lifting his team to a 4-3 win and a 1-1 series split against the Victoria Royals. Kyrell Sopotyk and Kody McDonald each had a pair of goals in regulation while Carson Miller and Brodi Stuart also scored. 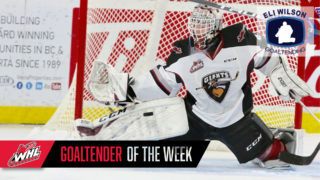 Dylan Ferguson (Vegas Golden Knights) stopped 39 of 42 shots in the win. 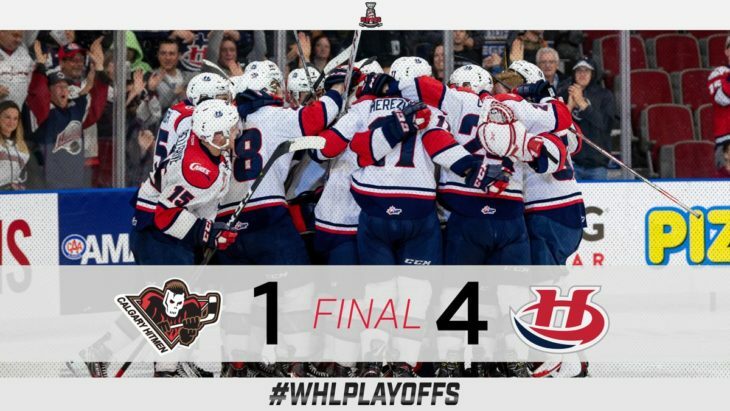 A hat trick from Jake Leschyshyn (Vegas Golden Knights) powered the Lethbridge Hurricanes to a 4-1 win and a 2-0 series lead against the Calgary Hitmen. Nick Henry (Colorado Avalanche) and Dakota Krebs also scored while Carl Tetachuk stopped 32 of 33 shots. 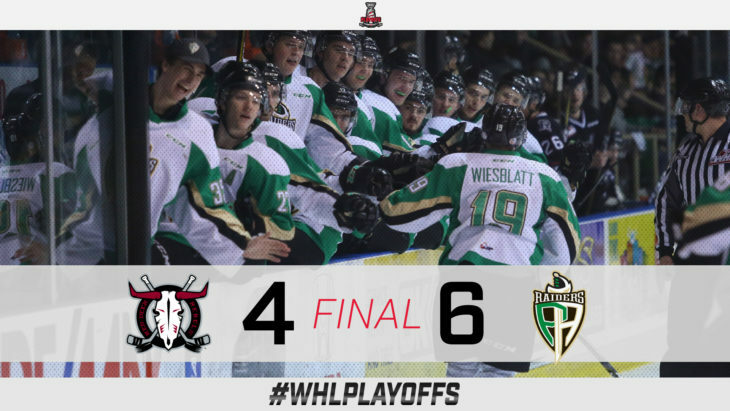 2019 NHL Draft prospect Aliaksei Protas and Sergei Sapego each scored twice as part of three-point games in a 6-4 Game 2 win for the Prince Albert Raiders. 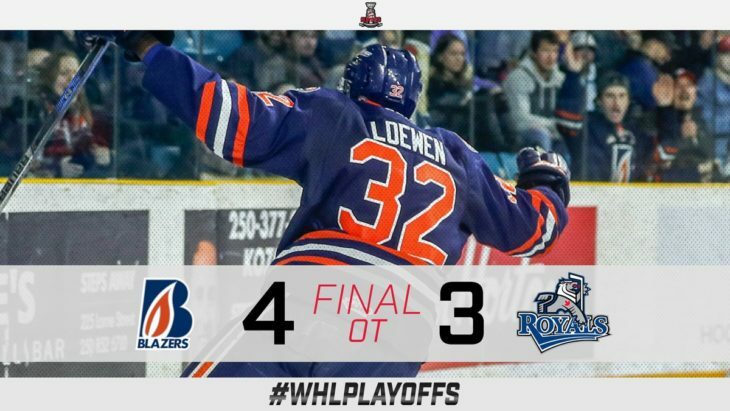 Captain Brayden Pachal and Ozzy Wiesblatt also scored. 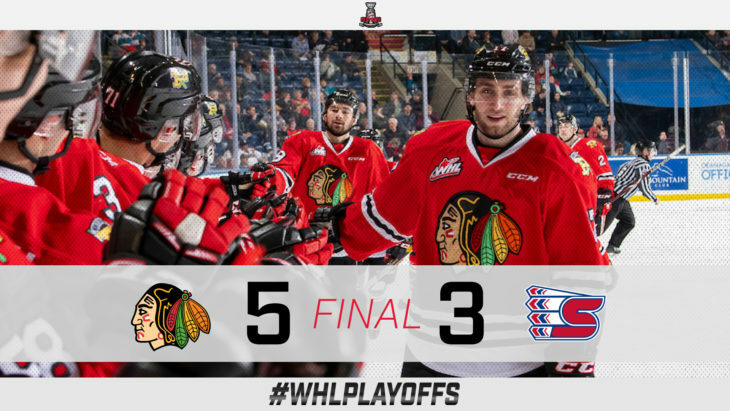 Brandon Hagel (Chicago Blackhawks) had a hat trick for the Red Deer Rebels in the loss. 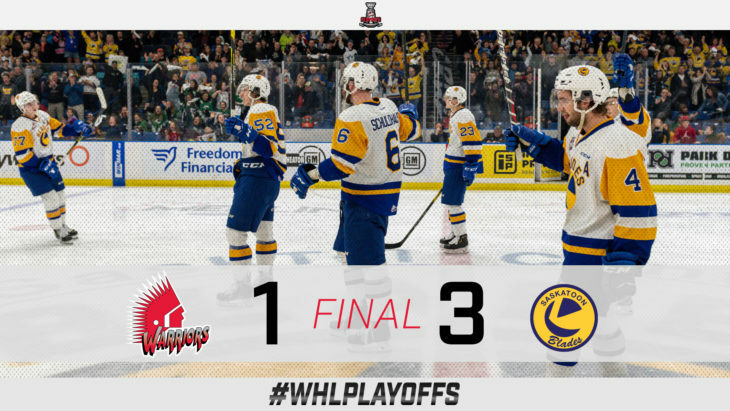 Max Gerlach drove the Saskatoon Blades to their second win in their series against the Moose Jaw Warriors with two goals, along with 2019 NHL Draft prospect Kirby Dach’s empty-net goal which sealed the win. 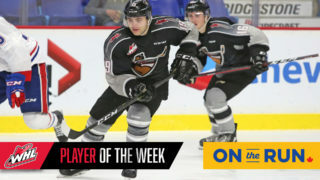 Scoring the lone goal of the night for the Moose Jaw Warriors was Carson Denomie. Nolan Maier stopped 21 of 22 shots. 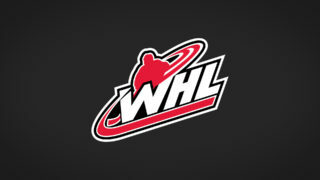 Battling back in the third period, Josh Paterson, Lane Gilliss, Mason Mannek and Matthew Quigley combined for three of five goals for the Portland Winterhawks to tie their series against the Spokane Chiefs. 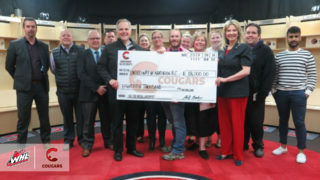 Scoring for the Chiefs was Jaret Anderson-Dolan (Los Angeles Kings), Luc Smith and 2019 NHL Draft prospect Adam Beckman. 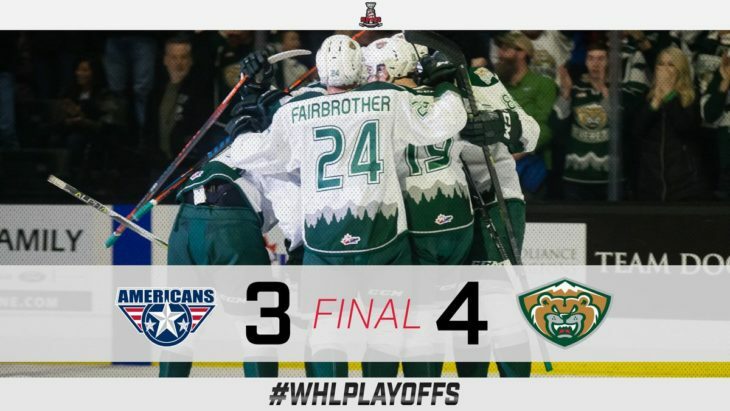 The Everett Silvertips opened up a 2-0 lead after edging the Tri-City Americans 4-3 in Game 2 Saturday. Martin Fasko-Rudas, Jake Christiansen, Gage Goncalves, and Robbie Holmes scored for the Silvertips. 2019 NHL Draft prospect Krystof Hrabik, captain Nolan Yaremko, and Aaron Hyman responded for the Americans in the narrow loss. 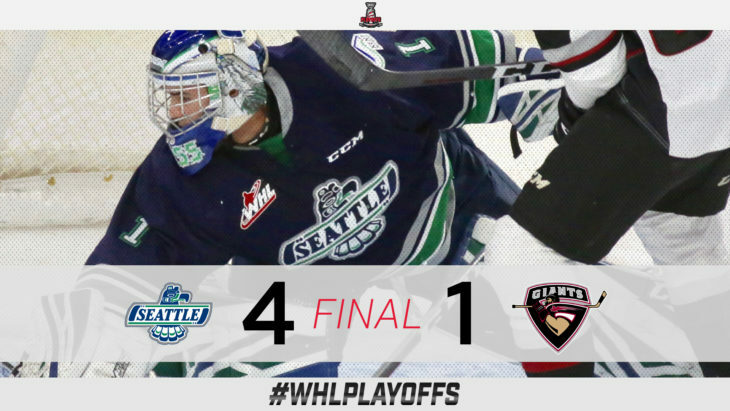 Roddy Ross stopped 39 of 40 shots Saturday as the Seattle Thunderbirds earned a 4-1 win to split the first two games of the best-of-seven series against the Vancouver Giants. Simon Kubicek and Sean Richards each had a goal and an assist while captain Nolan Volcan added an empty-net goal and two assists. 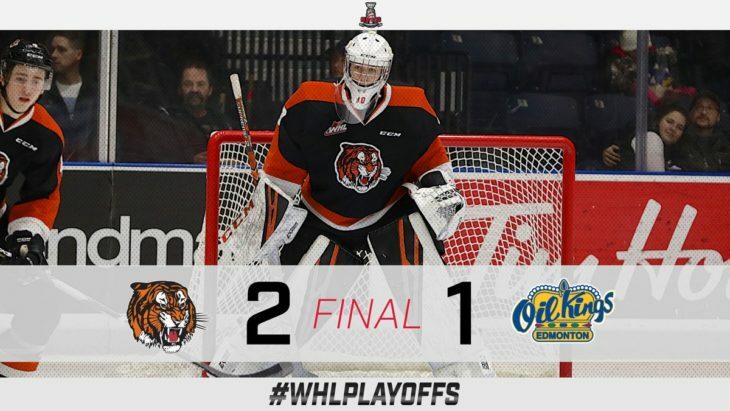 A 49-save performance from 2019 NHL Draft prospect Mads Sogaard backstopped the Medicine Hat Tigers to a 2-1 win to open their best-of-seven series against the Edmonton Oil Kings. 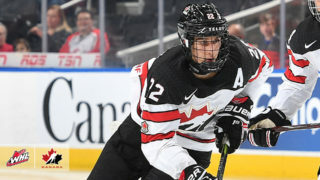 Tigers captain James Hamblin and Hayden Ostir scored for the Tigers in the second while 2019 NHL Draft prospect Josh Williams scored late in the third.